Hardy Wallace from Atlanta was chosen for the world's greatest job. The world's greatest job has been filled and the candidate's selection is sure to continue the controversy over a contest that wasn't really a competition at all. Murphy-Goode Winery struck public relations gold when it announced it would pay $60,000 and provide a two-bedroom villa in Healdsburg for one lucky person to drink wine and tweet about it for six months. The interview process was simple: submit a YouTube video explaining why you would be good for the job and wait to see what happened. The publicity was astonishing. The winery said it received more 300,000,000 page views on its website and generated more than $7 million worth of publicity for the winery. But all was not well in Napa Valley heaven. The first controversy struck when the winery chose 50 finalists from a pool of nearly 2,000 applicants, who submitted their qualifications and posted 900 videos on the winery's website. Missing from the list of contestants were some of the applicants with the most watched videos. They thought it was a popularity contest but the winery never intended it to be that. But they forgot to tell the contestants that. Shaw said the promotion "was never intended to be a contest," which are illegal for alcoholic beverage companies in California. On Tuesday, Murphy-Goode made things simple and chose Hardy Wallace of Atlanta, who was the first to submit his application. 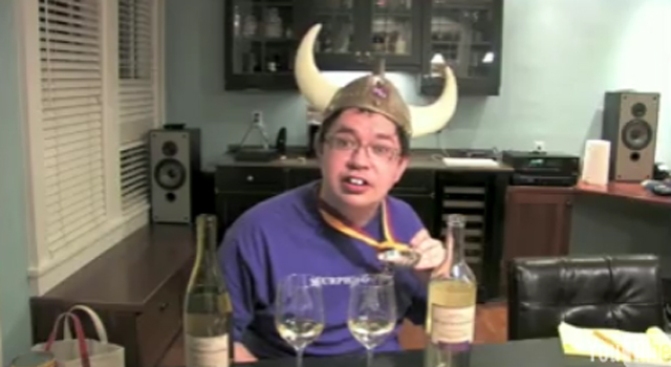 The winery insists Wallace was chosen for "best matching the winery’s job criteria" and for his "media presence" and that he went through an interview process and beat out nine other finalists for the job. "This is Murphy good!" Wallace said in a statement. "Seriously, this was my dream job before the job ever came along. My dream has come true."